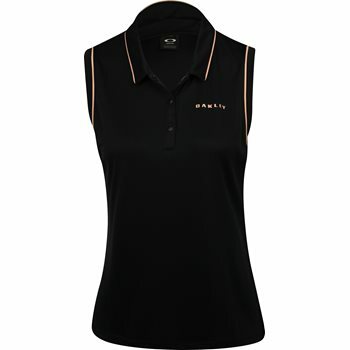 Oakley’s Balata Sleeveless Golf polo will keep you cool with highly breathable fabric that keeps the skin ventilated. You will also stay dry with moisture wicking technology that draws moisture away from the skin when sweating occurs. You can feel comfortable while playing your golf game with stretch fabric that allows you to move naturally. The fabric is made from polyester, offering durability for machine washing and resistance against shrinking and wrinkles. Design details include a 3 button placket, logo branding at the chest and back, and sleeveless construction for easy swing motion.